Home World News Keo Woolford, Actor on "Hawaii Five-0," is dead. Keo Woolford, Actor on "Hawaii Five-0," is dead. 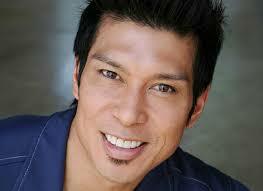 Actor Keo Woolford, best known for playing Detective James Chang on “Hawaii Five-0,” died on Monday at the age of 49. Woolford suffered a stroke three(3) days before his death, his publicist Tracy Larrua told the Hollywood Reporter. Woolford had a strong connection with Hawaii beyond his recurring role on the CBS show. The Honolulu native also wrote, directed and produced the 2013 indie film “The Haumana,” which centered on the host of a luau show, and was planning a sequel. Larrua said Woolford had already written a script. Woolford also had small roles in several movies, including “Godzilla,” and was part of a Hawaiian boy band called Brownskin. Heart breaking for the loss of dear friend Keo Woolford, writer, director, singer, dancer, spreader of love.